In January of 2018, the SRAM chain development and manufacturing facility in Coimbra, Portugal, turned 50. 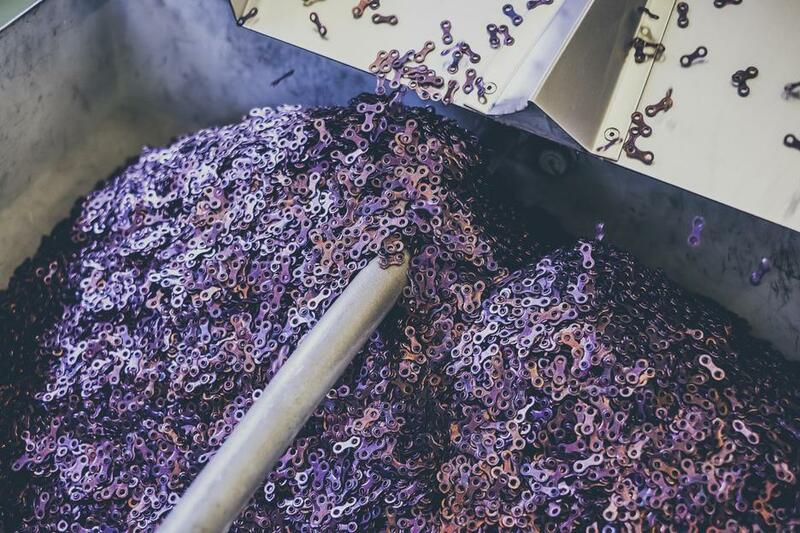 For the past half-century, dedicated people and intricate machines inside this factory have converted raw metal into the bicycle drivetrain component that connects all the others - the chain. The Coimbra factory's first contract came from the French manufacturer Peugeot, who needed chains for its bicycles and mopeds. Then came Sedis chains. The German bicycle, motorcycle and automotive component manufacturer Sachs ultimately acquired the Sedis brand and then, in 1997, SRAM bought the Sachs bicycle division. And with that, SRAM Portugal was formed. Chains from this factory have propelled bicycles to grocery stores throughout the world, helping to deliver food for billions of meals. They've carried students to school and employees to work. They've helped people of all ages find the freedom of bicycling. And they've won just about every bicycle race on earth. Chains look simple. They're composed of inner and outer plates and rollers, which are connected by pins. Their look, whether the design intent is for heavy machinery, automotive, motorcycle or bicycle use, is basically the same. Even the most modern bicycle chains look mostly similar to the ones first seen on bicycles in the late 1800s. Until that is, you look at them close up. For more indepth reading and better overview, check out the full article here.